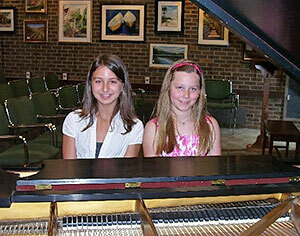 One of the many invaluable activities MEA offers students of member teachers is the Sunday Student Recitals. Family and friends are welcome at these free recitals. Student Recitals will be held in the Chase Room of the Madison Library at 2 and/or 3:15 p.m. Student recitals are held on Sundays in October, November, February, March, April and May. These one-hour programs are open to students of all ages and levels of playing. If enough students are signed up, two recitals are presented. Please check our Calendar for dates. Details are also available on the interactive and mail in versions of the registration forms. To enter students, log onto your Member Homepage and fill out the Student Recital Interactive Registration Form found in the right hand column. (This method is preferable and more secure.) See Forms/Downloads for the mail in version. 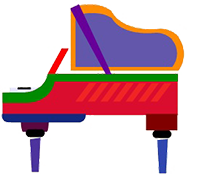 Pianists may appear as soloists, accompanists or in duet; ensembles may include vocal, string, brass, etc. Each teacher may enter one, two or three pupils in a recital for a maximum performance time of 10 minutes for two or three pupils, or a maximum of 8 minutes for one pupil. Please be as accurate as possible in listing the length of performance time. MEA recitals are not to be used as a substitute for private studio recitals. Solo performers on any instrument (piano, guitar, voice, strings, etc.) must be a student of the MEA member who teaches that instrument. In other words, if a students sings in a student recital, the MEA teacher of record must be the voice teacher. In an ensemble, only one performer needs to be the student of the MEA member who teaches that particular instrument. The Chair must be notified a week in advance if there are any changes or deletions in the student's repertoire or if the student is unable to perform. All participants must remain throughout the recital (approximately one hour) in order to encourage proper courtesy at concerts and protect the performers from distractions. Participants must arrive 15 minutes before the announced time of the recital. Teachers will be notified of the schedule at least one week before the recital date. Although these recitals are less formal than other MEA recitals, students are asked to dress appropriately -- no jeans, sneakers or flip-flops. Teachers are requested to notify both the parents and the students of the dress code. There is no fee to participate, although families are encouraged to make a $10 donation at the recital to help defray costs and to support the MEA-MJN Scholarship Fund. Incomplete and late applications or phone reservations can not be accepted. Smiling faces and the support of family and friends make the Student Recitals at the Madison Library a pleasant, enriching way to spend a Sunday afternoon.